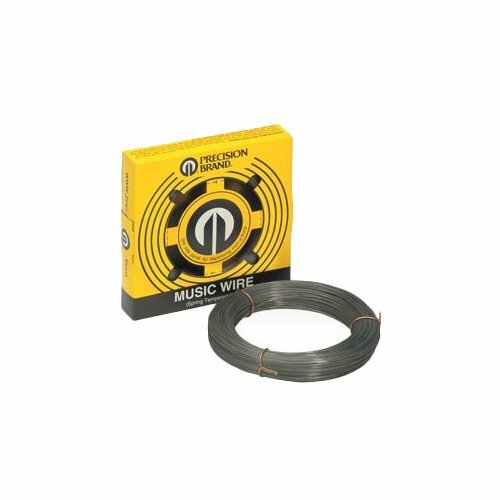 Precision Brand Music Wire is spring tempered and made from high carbon steel alloy. High tensile strength and high fatigue resistance. Applications include springs, wire forms, control linkages, armature binding, ceramic cutting, and a variety of industrial uses. Approximate feet per pound – 937. Tensile strength – 350-387 ksi (min. – max.). Packaged wire is shrink wrapped, bar coded, and packaged in an easy to use pull-type dispenser box. J.W. Winco 3T211KHS KHS Knurled Thumb Screw, Stainless Steel, 1/4"-20" x 2.5"